Work! Work! Work! We?ve been busy on the newest installment of Zinger! designed to be a contest entry for the Fretta Contest. In the original Zinger! it was 1 vs. all. This was fine and we had great fun with it, but most of the time people teamed or paired up and beat the crap out of other people. Which again was just fine, but it normally pissed said people off because they didn?t have a chance in hell of winning. The other problem was as much as everyone wanted to mutilate others with their weapon arsenal, they had to focus on getting to the cup first or they end up losing anyways. 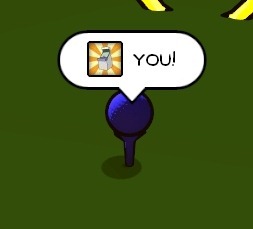 So now, with teams, you can work together by helping one guy get to the cup while you collect items to protect him. Many of you are probably thinking ?wtf does that mean??. Basically it means everyone has a turn at the same time, you?re not waiting on each other. Once you hit your ball, the game waits for you to stop moving then its your turn again. You don?t have to wait in a queue for your entire team to go before its your turn again. Why did we do this? Simple answer: Speed. In the previous Zinger! you spent a lot of time waiting for your turn to come around, which led to a lot of down time. We wanted to remedy that. This accomplished two things: a) less waiting around doing nothing, and b) increased the speed of the game dramatically. We wanted to give the mappers the ability to create a less linear hole. Instead of just starting at point A and trying to get to point B, we added in a feature to move the players around in all different directions. 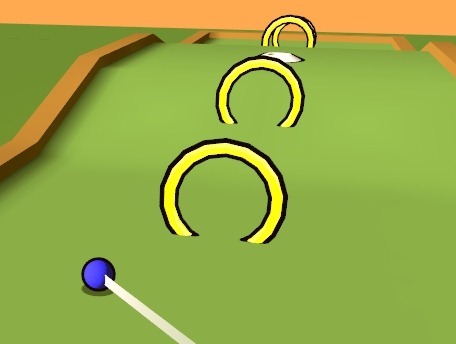 Basically there are a set amount of rings the mapper places on each hole; your team needs to go through each ring before you can finish the hole and sink the cup. 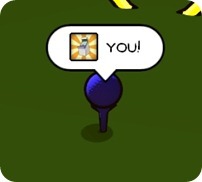 This added in another element to the teamplay environment: working together to activate the rings as fast as possible while making progress toward the cup. 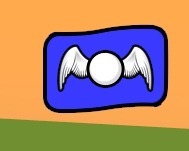 No longer do you have hole 1, hole 2, hole 3, and progress through in the same order each time you play a map. Now, all the holes are randomized and played in a different order. We?re also considering randomizing the rings, as in, let the mapper place 8 of them but only spawn 4 random ones. The mapper also has the ability to create more than just 1 tee per hole; actually we?d prefer they make 2+ tees. 2 of the tees would be picked at random and assigned to each team. Once the hole starts, teams tee off player by player. Once the last player has teed off, the tee is removed. This should shed some light on what we have planned. Remember, this is all preliminary and we reserve the right to change anything/everything before the official release.